Waiheke Island represents an unparalleled opportunity for predator eradication over a diverse landscape of communities and natural environments. It will have a far-reaching profile both within NZ and internationally, as it would be one of the first populated islands to become predator free. Our collective group aims to protect and restore the vulnerable native species that already call Waiheke home, in the first instance, by eradicating the key two predators remaining on the island, mustelids (stoats) and rats. Waiheke is already possum free. There is a low stoat population. There is active mustelid control around special biodiversity sites such as kaka nests and penguin burrows, and research by Andrew Veale in 2013 indicated that the Waiheke stoat has a unique DNA... leading him to theorise that there is no current reinvasion. At least 70% of Waiheke land is already active in, or has a level of commitment to, rat control. “Treasure Islands” is the effective biosecurity programme that protects the many pest-free islands in the Hauraki Gulf. Ferries and other commercial operators already have “Pest Free Warrants” and follow strict protocols to protect their vessels from unintentionally carrying pest animals. Most of the islands surrounding Waiheke are already pest free. Together with the natural barrier of the sea, Waiheke is well defended from incursions of rats and stoats. In fact, it’s the other way around - Waiheke rats and stoats threaten these other sanctuaries with invasion! New Zealand has the highest rate of threatened species in the world – more than half of all our native animals are at risk or threatened. Being an island, Waiheke has both land and sea animals, giving us a larger variety of birds and other species that all need safety from predators. Some of our threatened species includes declining populations of little blue penguin and nationally vulnerable caspian terns. The Waiheke community is passionate about removing predators from their motu, bringing back their wildlife, and working together to do so. Predator-Free Waiheke is the result of many people’s time, energy and passion, over many years. 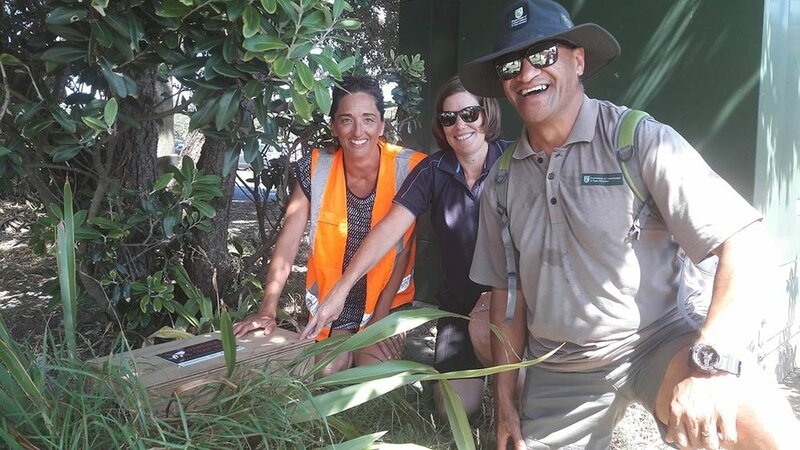 The Waiheke community together with mana whenua, are working in partnership with Auckland Council, the Department of Conservation and others, and have secured the necessary funding to give it a blimmin’ good go! There is a groundswell of support from locals, with increasing predator control action across the landscape from farms to backyards. Te Korowai o Waiheke refers to a cloak of protection, created by many weavers, working together to restore the mauri of the island itself.